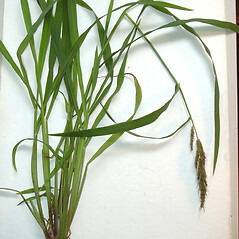 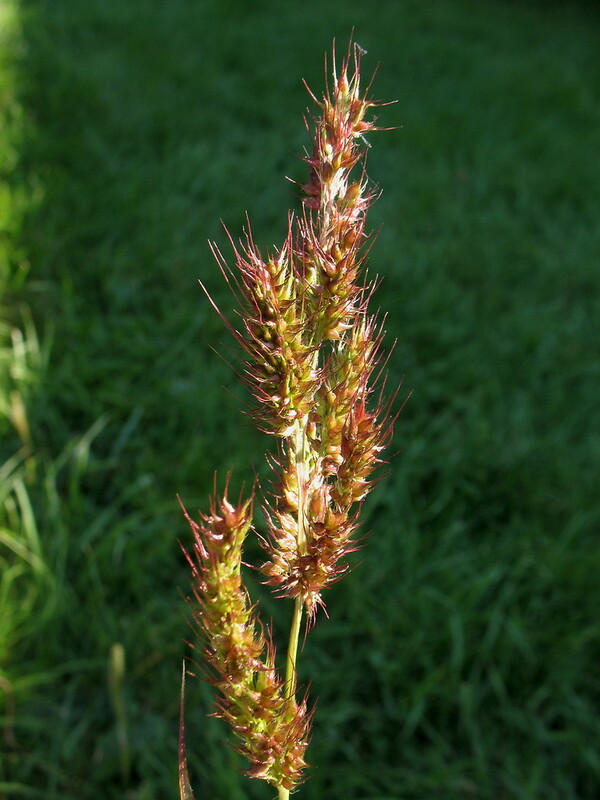 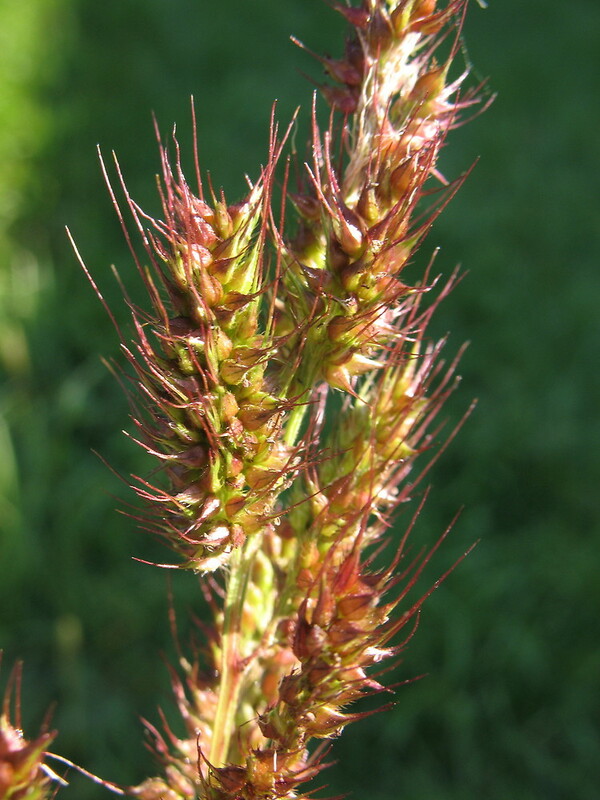 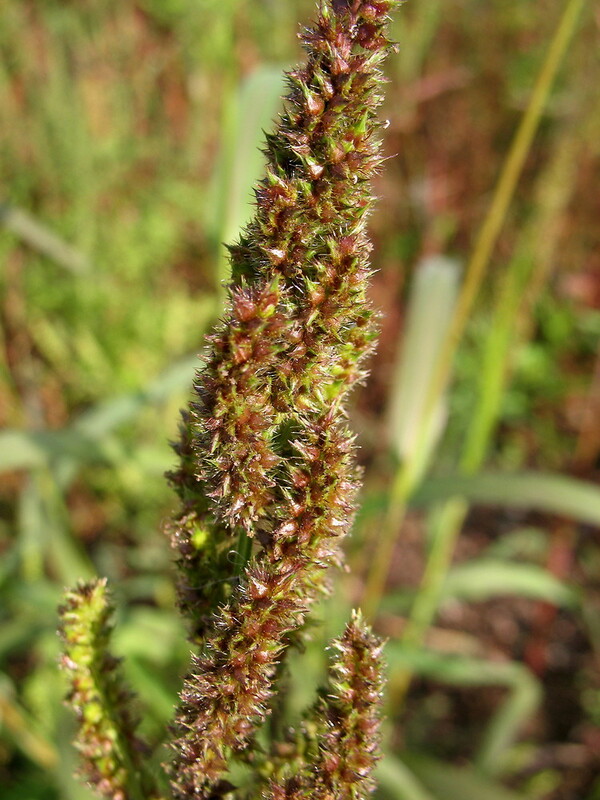 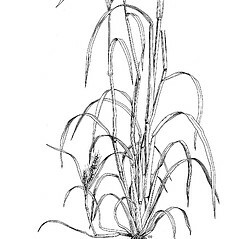 Common barnyard grass is an introduced Eurasian grass found in cultivated fields and disturbed stes throughout New England and, indeed, most of North America, where it is reviled as an agricultural weed. 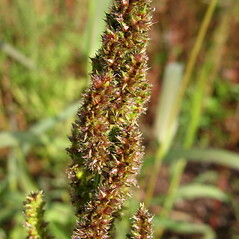 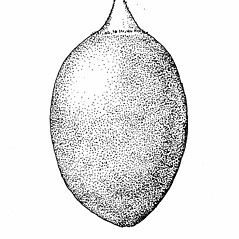 However, several Native American peoples have used the seeds as a valuable food source; they can be used for winter storage, or pounded into a porridge. 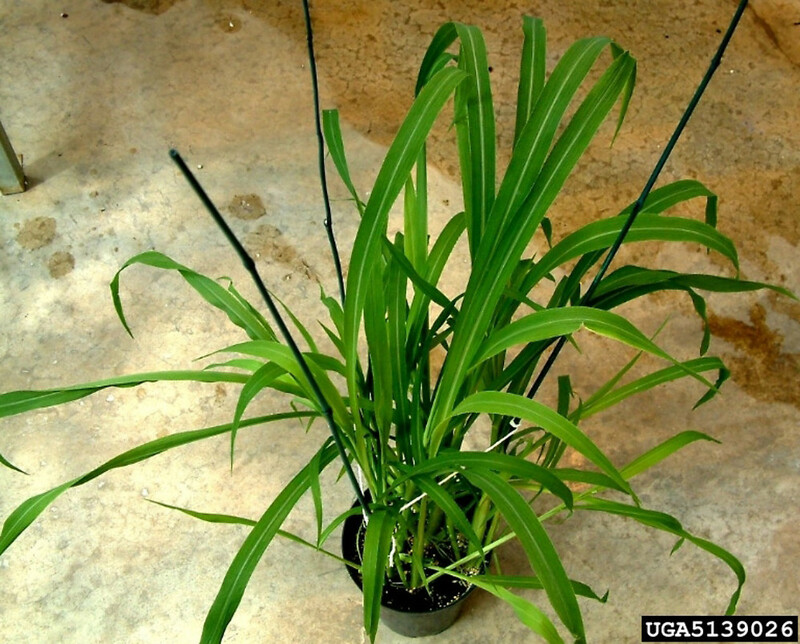 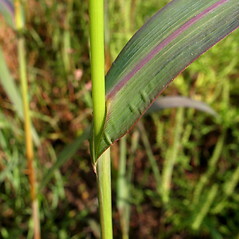 lower lemmas usually unawned and upper lemmas wider and longer than the upper glumes at maturity, the margins and apex exposed and visible (vs. E. crus-galli, with lower lemmas usually awned and upper lemmas nor or barely exceeding the upper glumes in length and width, primarily concealed). 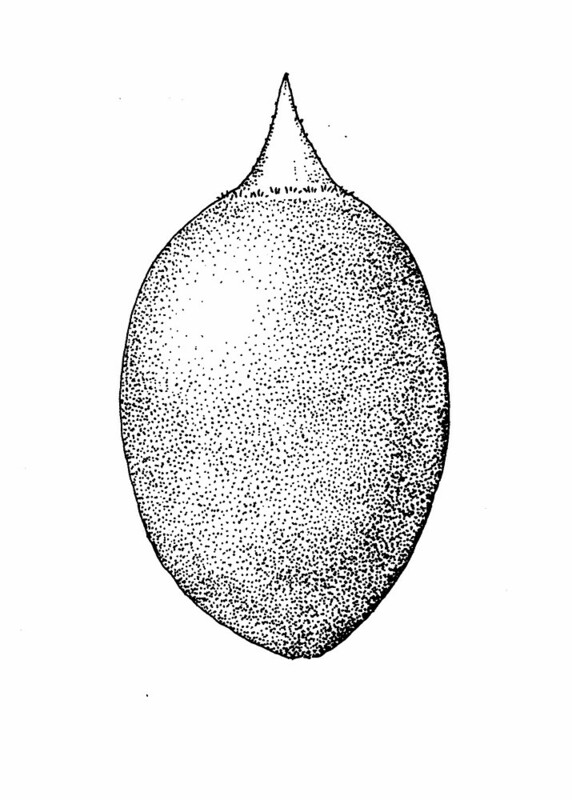 coriaceous portion of upper lemmas acute to acuminate at apex, gradually transitioning from the coriaceous body into the membranous tip, the two regions not offset by a line of minute hairs (vs. E. crus-galli, with the coriaceous portion of upper lemmas rounded at apex, abruptly transitioning to an early withering, membranous apex, the two regions separated by a line of minute hairs). 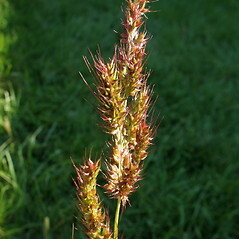 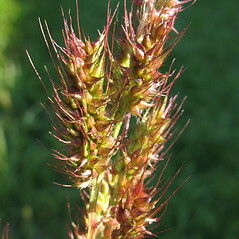 common barnyard grass. 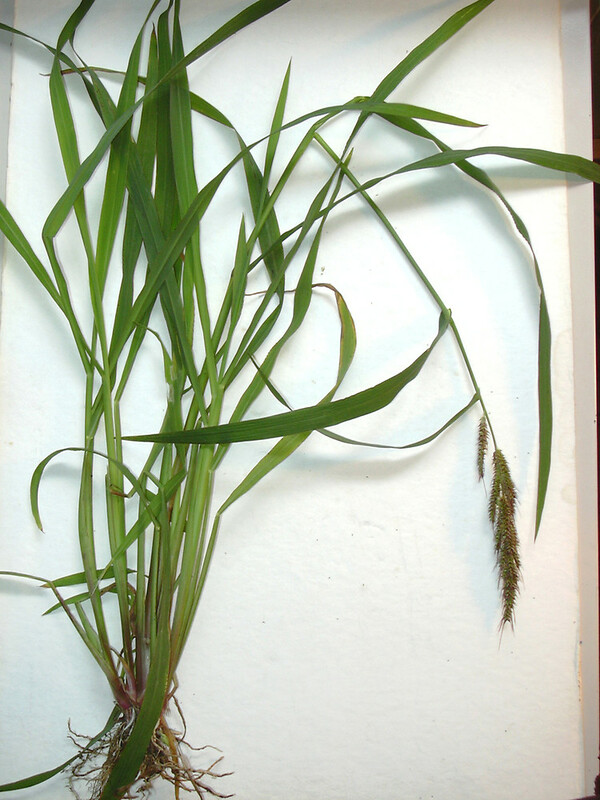 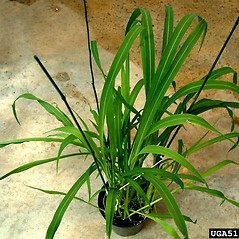 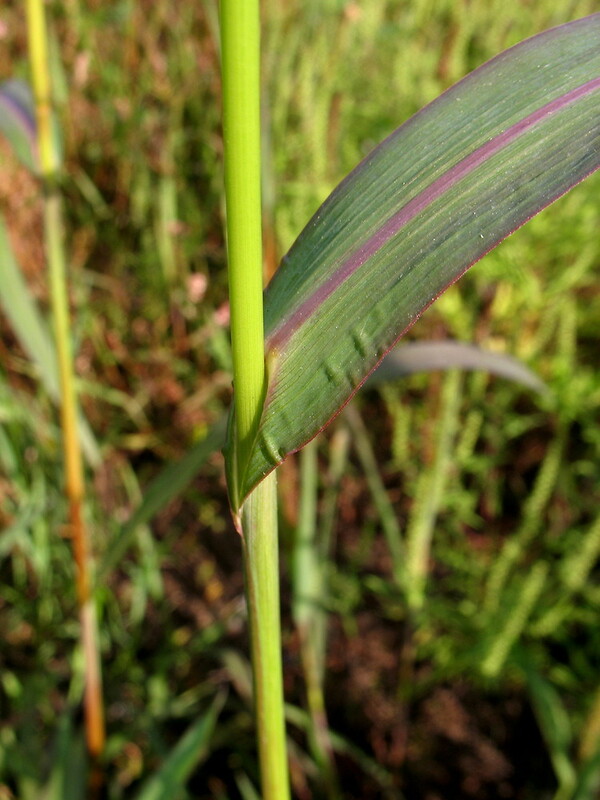 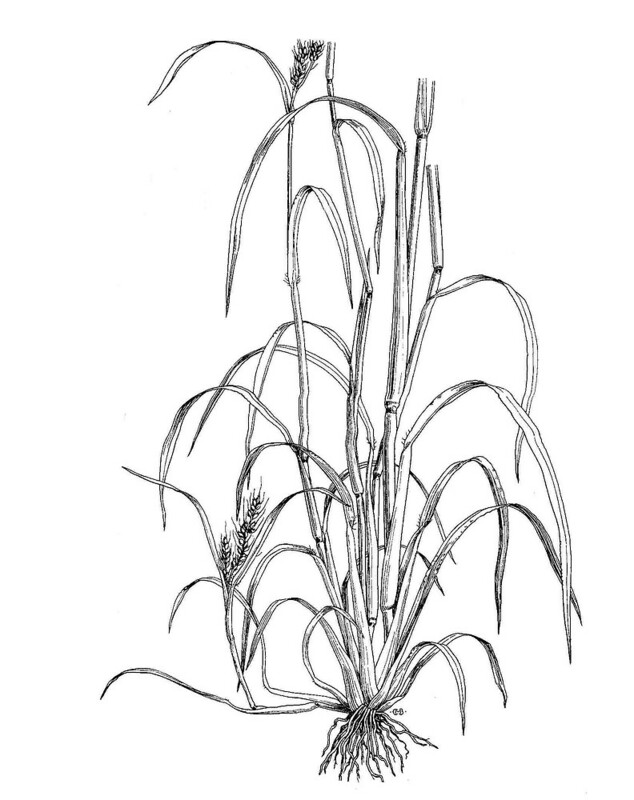 Panicum crus-galli L. • CT, MA, ME, NH, RI, VT. Cultivated fields, areas of habitation, ditches, disturbed soil.